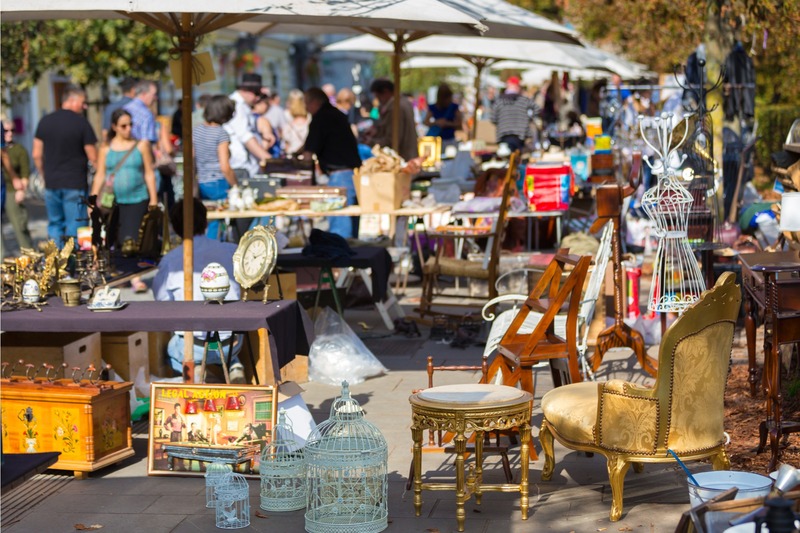 Scouring flea markets, vintage shops and thrift stores for unique finds is a great way to save money on both functional objects and décor for outdoor living areas. However, searching for used and vintage items is not just about finding a great bargain. Giving new life to an old object, rather than purchasing something new, is also better for the environment and a great way to find things that no one else will have. Plus, coming across unique finds and figuring out new ways to use them is fun and comes with a sense of accomplishment, particularly if your vintage treasure needs a bit of sprucing up before it can be put to use. Often, older stuff is better made anyways, so your finds may have held up quite well and might outlast a similar item manufactured today. One of the tricks to finding unique, vintage pieces at garage sales, antique shops or auctions is to keep an open mind and not allow yourself to get caught up on the item’s original use. Just because you are looking for items for an outdoor living area does not mean that the item needs to have been designed and manufactured for that purpose. 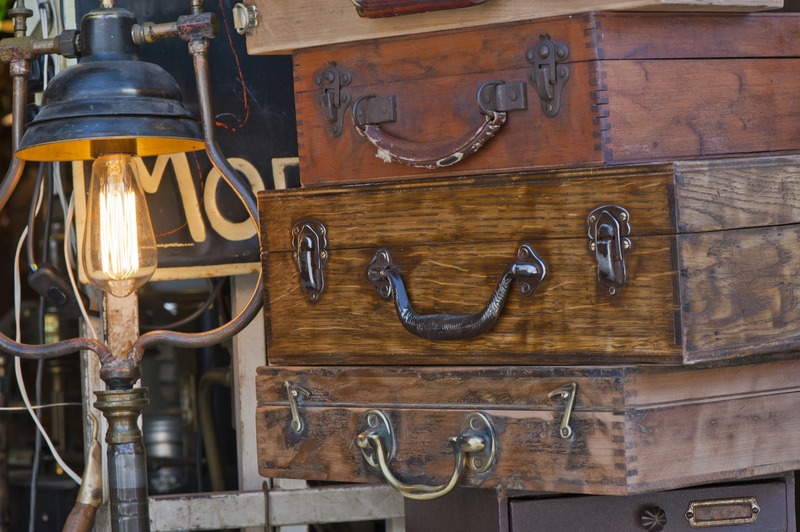 It can be much more fun to come across flea market finds that are completely unrelated to your intended use, and then figure out how to incorporate it into your space or transform it into something functional. Of course, if you happen to have a shabby chic, English garden, rustic or vintage theme already going on in your outdoor living areas, it is particularly easy to find flea market treasures that will fit right in. But you might be pleasantly surprised to find out just how well a vintage piece can go with even the most modern décor. In fact, older items can make great focal points or conversation pieces in any setting. To help get you inspired for your next trip to the swap meet or salvage yard, here are 10 flea market finds that work perfectly in outdoor living areas. 1. Planters: Planters are the most obvious thing for this list, so we will start here. Old flowerpots can be particularly charming, so if you happen to come across some, you might want to consider buying them. They can usually be easily cleaned up and painted, if necessary, but you might find that you appreciate their natural patina and will not need to do anything to them before putting them to good use. Do keep in mind that a huge variety of vintage items can be turned into planters, such as wheelbarrows, watering cans, wooden crates, dresser drawers, old suitcases, colanders, and old food, coffee or tea tins. You can also use an old bed frame for a raised garden bed or transform an iron headboard or old ladder into a trellis. If you are turning non-planter items into planters, make sure that you add drainage holes before filling them with soil. Also, you should only grow food plants in containers that have not been chemically treated and that you can be confident of having no toxic substances to leach into the soil. 2. Baskets: You can find baskets at almost every thrift shop or garage sale, so you will have no problem finding vintage baskets for use on your patio. Old baskets can be used to store dog toys, beach towels, kindling, children’s toys, board games or throw blankets, which will help keep your patio clutter free. You can also use them for carrying flowers from your cutting garden or picking fruits and vegetables in your potager. Baskets can sometimes be more difficult to clean, so when making your selections look for mold, anything sticky or any questionable substances that might be difficult to completely remove. 3: Candle Holders: Many of the new candle holders you see for sale today in the trendiest shops are fashioned after candle holders made many years ago, so why pay more for these new replicas when you can buy the real thing? 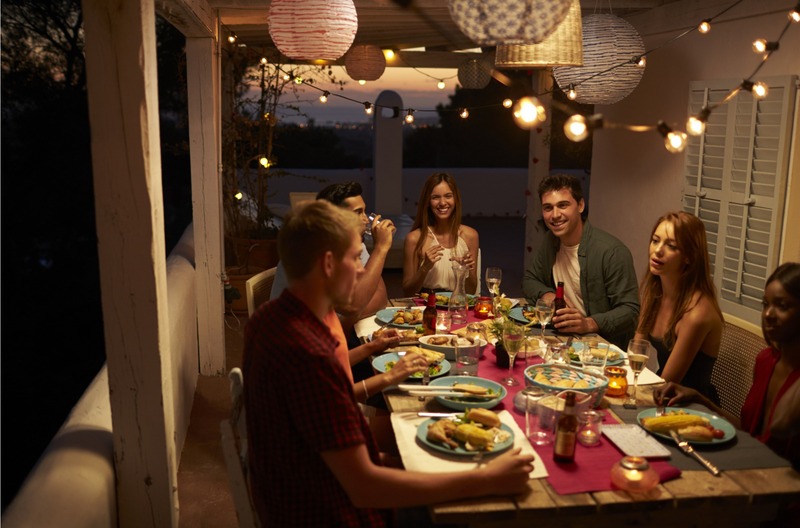 Candlelit outdoor dinner parties are fantastic – as long as there is not much wind – and you will not be as concerned about a guest or child breaking them if you got a great bargain when you bought them. It is very common for older, metal candle holders to be rather tarnished, but do not let that dissuade you. You can either leave the patina as is to enjoy their antique look, or you can easily clean them. 4. Statuary: Statues – even small ones – can be quite expensive when purchased new, but you can often find great bargains on vintage statuary at flea markets and thrift shops. Your treasure hunt could turn up everything from stone angels to garden gnomes, so keep an eye out for little statues tucked away in shop corners and bring a bit of whimsy to your backyard. 5. Tables: Dining tables, coffee tables and side tables can all be found wherever used furniture is sold and, if you are willing to refinish or repair them, you can pick them up at exceptional prices. Furniture repairs might be best left up to folks who are at least a little handy, but you do not have to have any special skills to refinish an old piece of furniture. Once you have watched a few instructional videos online and stopped at the store to stock up on supplies, you should have no problem repainting or staining your vintage pieces. 6. Benches and Chairs: Vintage garden benches and chairs are perfect additions to your outdoor living areas and might even allow you set up an entirely new seating area for reading, meditating, birdwatching or simply looking at your garden. 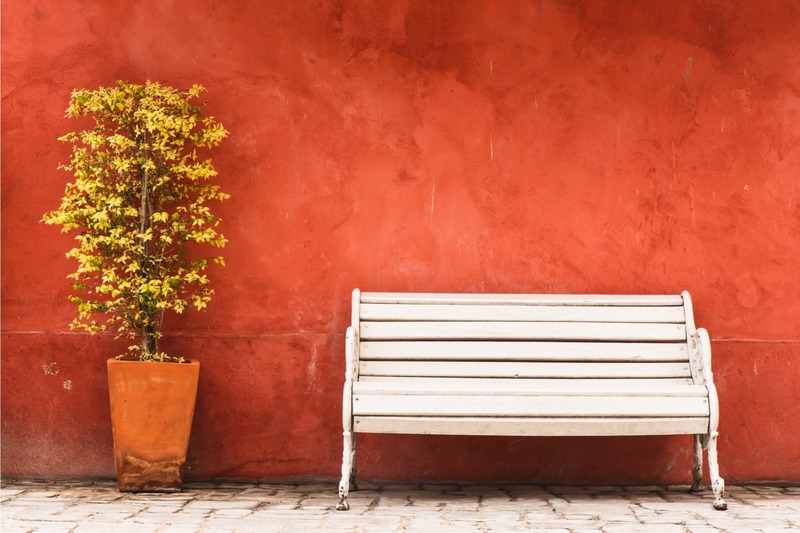 There are plenty of old chairs and benches in the world, so it is just a matter of finding one that suites your style and that either has a great patina or could be refinished to give it new life. If you plan on actually sitting on your vintage bench or chair, this is one flea market find where you do need to make sure that it is sturdy – or at least that it can be repaired and made sturdy – before you buy it. 7. Vases and Urns: Potted plants, fresh-cut flowers, fireplace matches – these are just a few of the things you can put in old vases and urns. Vases, of course, will serve you better for holding things like flowers and long matches, while beautiful, old urns make great planters or storage for larger items, such as towels or kindling. 8. 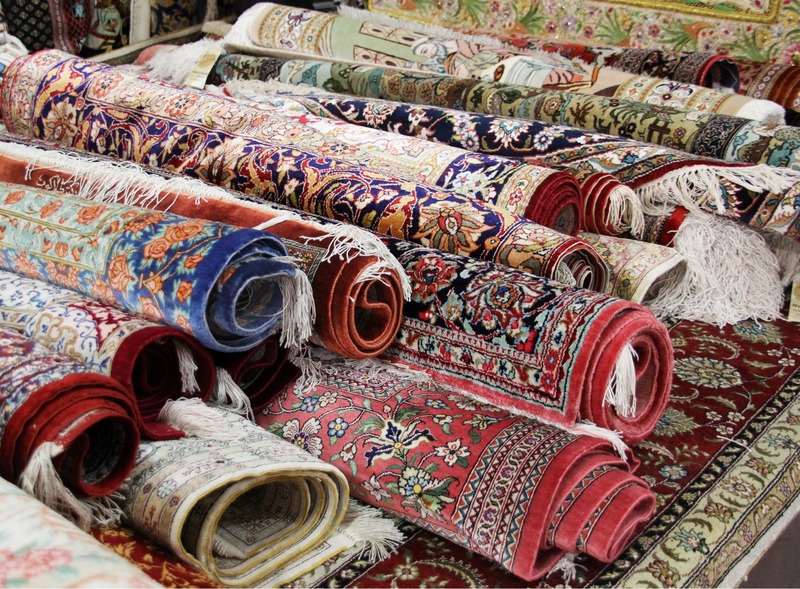 Rugs: Finding a funky, vintage rug that you can wash or beat the dirt out of is a top goal for some flea market explorers, and with good reason. First off, good rugs are expensive. Secondly, most new rugs are designed to look like old rugs anyway. Thirdly, a lot of folks do not want to spend much money on a rug that is going to stay outside on a patio or deck and potentially get really, really dirty. 9. Tablecloths, Placemats and Napkins: Vintage and antique linens can be quite the find and are a great way to immediately change the look of your outdoor dining table. You can often find old table linens at swap meets, antique shops and thrift stores, so you should have no problem finding vintage or antique tablecloths and napkins. Of course, if they are antique and still in good shape, they might not be cheap, but it will be well worth it when your guests compliment them at your next dinner party. 10. Garden Art: Like the planters and flowerpots mentioned above, garden art is kind of a shoo-in for lists of flea market finds. This is largely because just about anything old can be turned into garden art, so it is basically impossible to not find some fun options when you go hunting for treasures. Just a few examples of things that can be transformed into garden art include old doors, picture frames, farm implements, tools, silverware, dishes, windows, chandeliers and even boots. You may even find that some items you purchased for particular purposes but that ended up being too broken to use make perfectly fine garden art. You may love how certain pieces have naturally aged and do not want to repaint or stain them. This is perfectly fine, but you may want to look for areas that need to be sanded or filed to keep folks from getting splinters or poked by sharp edges. You should also consider adding a clear coat of spray sealant to help preserve the aged look of wood, rattan or metal furniture and other finds.